English countryside at dusk. Aerial drone video footage flying low and fast over a ploughed field heading towards and rising into the distant sunset. hd00:19The tractor plows a field at sunset. 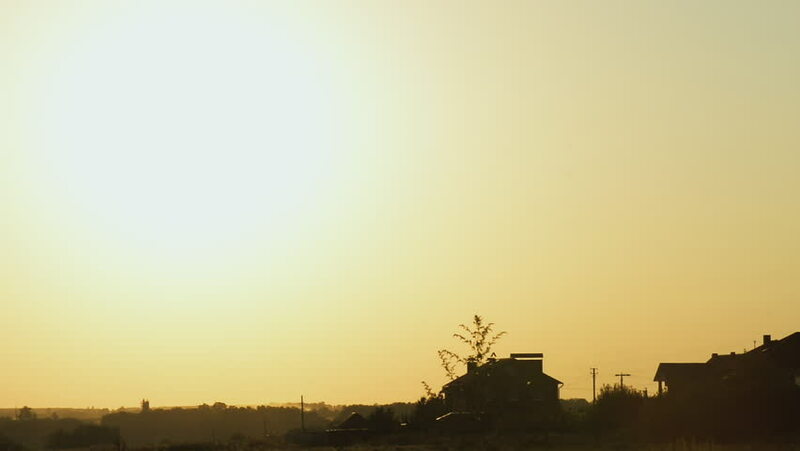 Agricultural field treatment by tractor at sunset of the day. hd00:15Tractor spraying chemicals in a field at sunset. Fertilizer application in the field of corn at sunset of the day. hd00:24Empty sky with lower thirds crowd of unrecognizable people at beach on sunny and hazy day in Seaside, Oregon. hd00:07Beautiful cloudscape with red sunset. Timelapse.